Your teen is becoming more independent, but still needs plenty of advice from you. With more money to spend and more opportunities to spend it, your teen can easily get into financial trouble. So before money burns a hole in your child’s pocket, teach him or her a few financial lessons. With your help, your teen will soon develop the self-confidence and skills he or she needs to successfully manage money in the real world. Teens often have more expenses than younger children, and your child may be coming to you for money more often. But with you holding the purse strings, your teen may have difficulty making independent financial decisions. Agree on what your child’s pay should be used for. Now that your teen is working, will he or she need to help out with car insurance or clothing expenses, or do you want your teen to earmark a portion of each paycheck for college? Talk to your teen about taxes. Show your child how FICA taxes and regular income taxes can take a bite out of his or her take-home pay. Introduce your teen to the concept of paying yourself first. Encourage your teen to deposit a portion of every paycheck in a savings account before spending any of it. A teen who is too young to get a job outside the home can make extra cash by babysitting or doing odd jobs for you, neighbors, or relatives. This money can supplement any allowance you choose to hand out, enabling your young teen to get a taste of financial independence. Developing a written spending plan or budget can help your teen learn to be accountable for his or her finances. Your ultimate goal is to teach your teen how to achieve a balance between money coming in and money going out. To develop a spending plan, have your teen start by listing out all sources of regular income (e.g., an allowance or earnings from a part-time job). 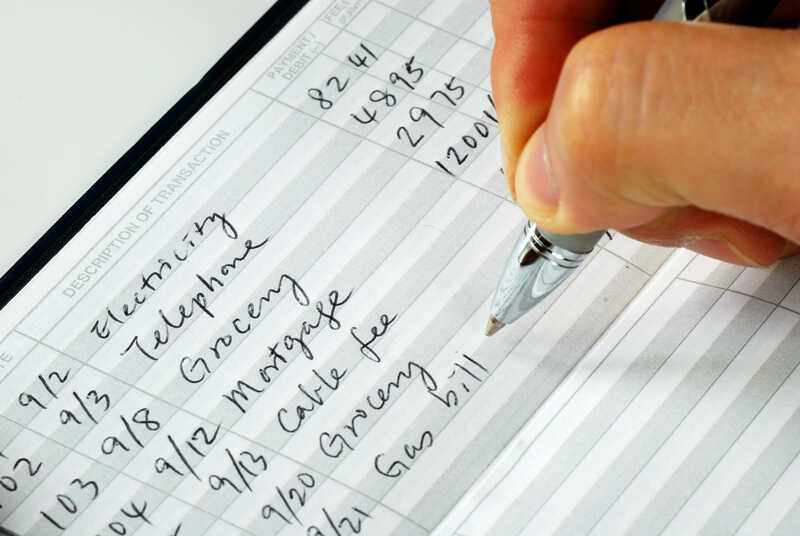 Next, have your teen brainstorm a list of regular expenses (don’t include anything you normally pay for). Finally, subtract your teen’s expenses from his or her income. If the result shows that your teen won’t have enough income to meet his or her expenses, you’ll need to help your teen come up with a plan for making up the shortfall. Encourage your teen to think spending decisions through rather than buying items right away. Show your teen how comparing prices or waiting for an item to go on sale can save him or her money. Suggest ways your teen can earn more money or cut back on expenses (e.g., rent a DVD to watch with friends rather than go to the movies) to resolve a budget shortfall. Show your teen how to modify a budget by categorizing expenses as needs (expenses that are unavoidable) and wants (expenses that could be cut if necessary). Resist the temptation to bail your teen out. If your teen can depend on you to come up with extra cash, he or she will never learn to manage money wisely. But don’t be judgmental– your teen will inevitably make some spending mistakes along the way. Your child should know that he or she can always come to you for information, support, and advice. Have your teen put savings goals in writing to make them more concrete. Encourage your child to set goals that are based on his or her values, not on keeping up with what other teens have or want. Motivate your child by offering to match what he or she saves towards a long-term goal. For instance, for every dollar your child sets aside for college, you might contribute 50 cents or 1 dollar. Consider increasing your teen’s allowance if he or she is too young to get a part-time job. Praise your teen for showing responsibility when he or she reaches a financial goal. Teens still look for, and count on, their parent’s approval. Open up a savings account for your child if you haven’t already done so. Introduce your teen to the basics of investing by opening an investment account for your teen (if your teen is a minor, this will be a custodial account). Look for an account that can be opened with only a low initial contribution at an institution that supplies educational materials introducing teens to basic investment terms and concepts. You can take some comfort in the fact that credit card companies require an adult to cosign a credit card agreement before they will issue a card to someone under the age of 21 (unless that person can prove that he or she has the financial resources to repay the credit card debt), but you can’t ignore the credit card issue altogether. Many teens today use credit cards, and it probably won’t be long until your teen asks for one too. If you decide to cosign a credit card application for your teen, ask the credit card company to assign a low credit limit (e.g., $300). This can help your child learn to manage credit without getting into serious debt. Set limits on what the card can be used for (e.g., emergencies, clothing). Review the credit card agreement, and make sure your child understands how much interest will accrue on the unpaid balance, what grace period applies, and what fees will be charged. Agree on how the bill will be paid, and what will happen if your child can’t pay the bill. Make sure your child understands how long it will take to pay off a credit card balance if he or she only makes minimum payments. You can demonstrate this using an online calculator or by reviewing the estimate provided on each month’s credit card statement. If putting a credit card in your teen’s hands is a scary thought, you may want to start off with a prepaid spending card. A prepaid spending card looks like a credit card, but works more like a prepaid phone card. You load the card with the dollar amount you choose and your teen can generally use it anywhere a credit card is accepted. Your teen’s purchases are deducted from the card balance, and you can transfer more money to the card if necessary. Although there may be some fees associated with the card, no interest or debt accrues. One thing you may especially like about prepaid spending cards is that they allow your teen to gradually get the hang of using credit responsibly. Because you can access account information online or over the phone, you can monitor your teen’s spending habits, then sit down and talk with your teen about money management issues. Visit one of our convenient branches in Chambersburg, PA, Waynesboro, PA, or Hagerstown, MD, to learn more about our credit union accounts for students.